Jig Set for AR-15 80 percent lower. Includes Plates, guide pins, drill bushings, and screws. Each plate is marked for step by step including depth for each plate. AR-15 Jig Set Shown in picture. 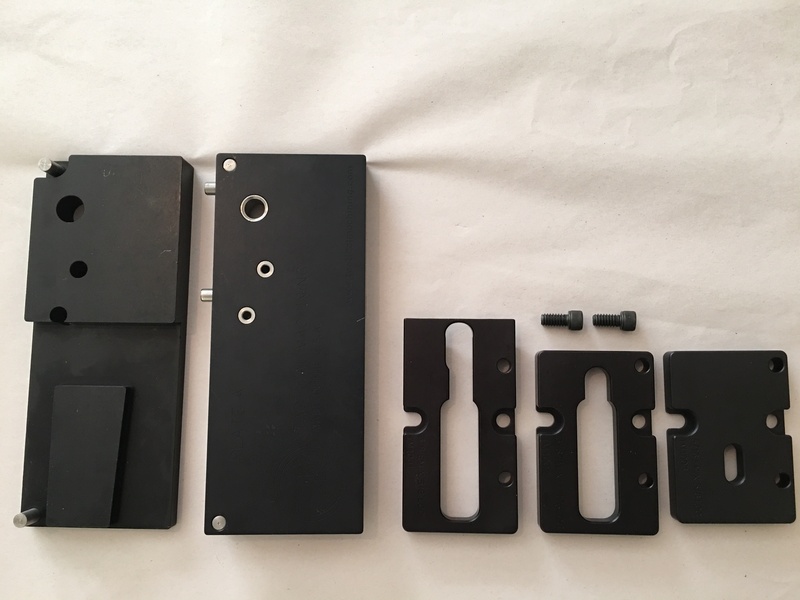 Ar10 jig set is similar setup however it is made for exterior dimensions of the AR-10.